The modern generation of young artists is notable for the rapid popularity: the Internet and social networks contribute to this tendency. 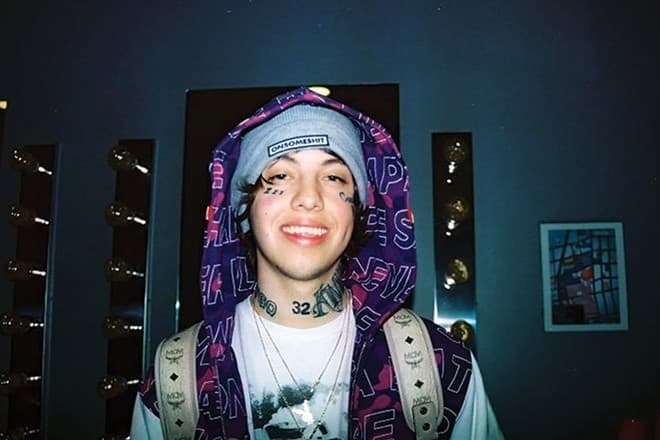 The beginning rapper Lil Xan became famous quickly thanks to uploading his songs on various Internet platforms. The would-be rapper was born on September 6, 1996, in Redlands, California. His real name is Diego Leanos. The young man’s height is 172 cm., and his weight is 60 kg. He is a Virgo. The family had no financial stability. 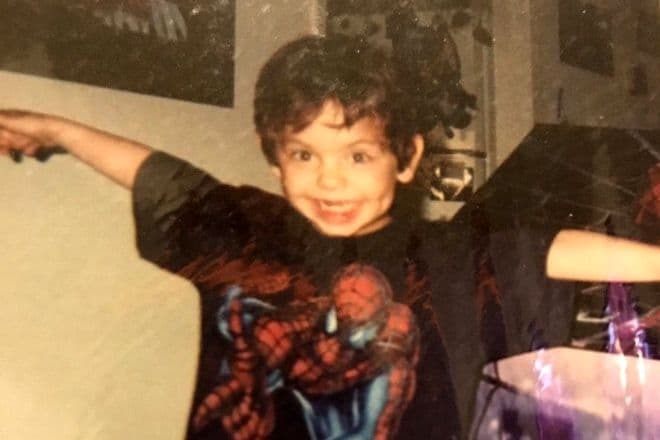 The boy spent his childhood in motel rooms with his parents. He was not interested in education and dropped from school in the freshman year. When Diego realized it was time to earn, he began to clean streets and gain additional money by selling drugs. Young Lil Xan was not engaged in art. He planned to be a photographer and took an interest in music when he was promoting his friends who were rappers. The young man accidentally came to a studio. During a concert, somebody grabbed Diego’s camera from his hands. To collect some money and buy a new one, the young man tried to record a song. A studio session cost $20 at the moment; $1200 was necessary for a new photo camera. Lil Xan’s friends supported him and appreciated his potential. The young people started uploading their recordings on YouTube and SoundCloud. Thus, the first fans noticed the rapper. The debuting video had more than 42 million views. Speaking of his idols, Diego mentions Pharrell Williams and alternative rock groups. The young man listened to Arctic Monkeys and Queens of the Stone Age: they inspired him. 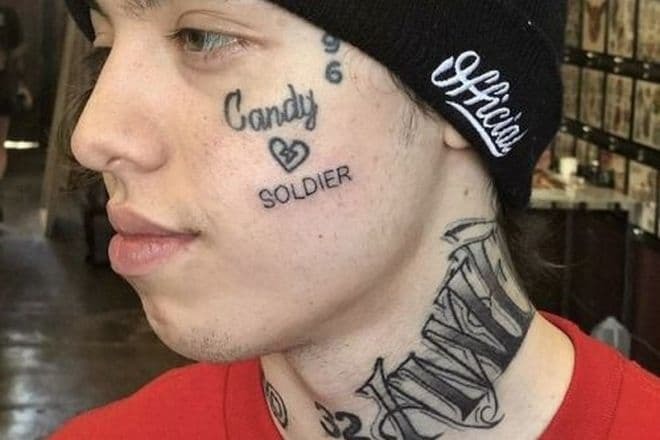 Lil Xan gained his pseudonym thanks to his friends: “Xan” derived from “Xanax,” the drug that the young man used to do. Later, the accidental nickname became the singer’s public name. The musician’s career began in 2016: in fall, his mixtape GITGO came out; it included solo compositions and tracks recorded with $teve Cannon. The next year, the album Toothache was released. When some songs proved to be popular, the rapper decided to go on. In summer 2017, the music video “Betrayed” was presented; it was certified platinum by the RIAA. Diego ensured his music career was promising and organized his own group Low Gang; ArnoldIsDead and $teve Cannon joined it. The first concert took place at Roxy Theater in October. In 2018, the artist announced the upcoming album Total Xanarchy; he collaborated with Diplo and Swae Lee and planned a supporting tour. In April, the album came out, and the tickets for the tour concert were sold out within hours. Music critics gave unfavorable reviews to Total Xanarchy: they believed there was nothing lyric in the album, and the singer’s manner of performance was not convincing. The sad-rap musician did not want to share his emotions. The Guardian observer Ben Beaumont-Thomas protected the album and mentioned some gothic sounding but added the singer was mimicking other artists. 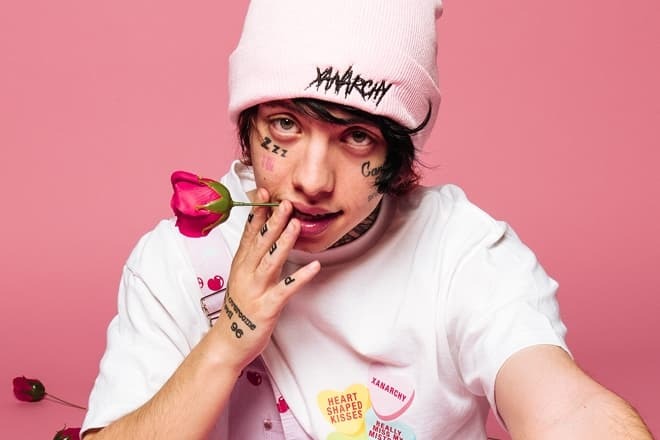 In 2018, Lil Xan won the MTV Music Awards: Push Artist Of The Year. Similar to other teenagers from broken homes, the singer’s life has been influenced by substances. The rapper openly admitted he did Xanax at 18. The drug was addictive, and the young man’s company encouraged him to continue to use it. Besides, he combined the drug with alcohol. Today, the rapper says he has managed to overcome the bad habit. In fall 2018, his fans were worried by the news the singer was hospitalized and thought that doing drugs was the reason for that. However, the young man explained it by eating too many snacks. Diego plans to support anti-drug campaigns. He participates in the program against Xanax, opiates, and other forbidden substances. The artist was deeply shocked by Mac Miller’s death. 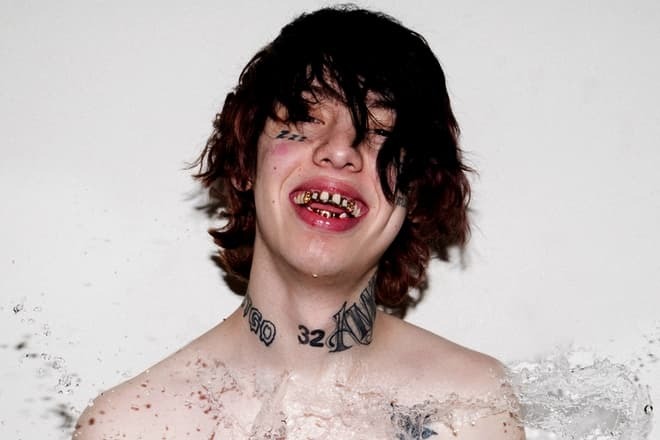 Upset and depressed, Lil Xan was going to stop giving concerts but later changed the priorities and said he wanted to enlarge the circle of his artistic interests. In June 2018, the rapper started dating the singer and actress Noah Cyrus; the couple recorded the song “Live or Die.” However, in August, they broke up because of the young woman’s careless joke: she made Lil Xan jealous because of a photoshopped picture. Diego took it to heart and later said his ex-girlfriend was cheating on him. The artist’s tattoos on his face and body attract much attention. The young man believes that tattoos should be seen; otherwise, there is no point in having them. The portrait of Kaonashi, a character from the cartoon Spirited Away, was Lil Xan’s first tattoo. One of the tattoos is devoted to Diego’s mother, Candy. The young man is an active Internet user. More than a million people follow him on Instagram, and thousands of fans read his Facebook page. 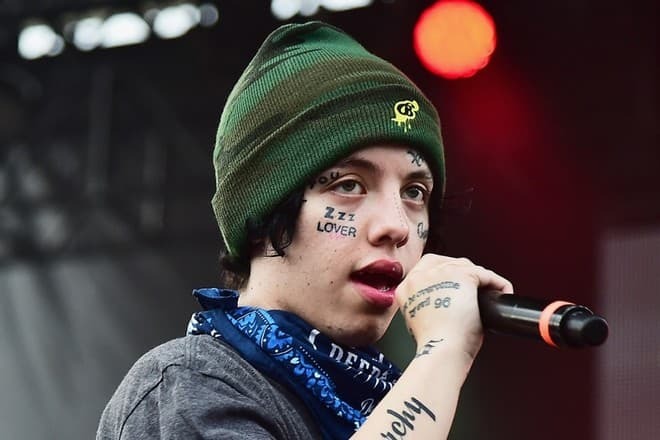 In 2018, Diego’s twit with a negative opinion about Tupac Shakur’s works provoked a scandal in the rap world; Lil Xan was called an outcast. However, the young man rehabilitated and performed the song “California Love” created by Shakur. The artist prefers casual clothing style; particularly, he likes Beanies products. He rarely appears in front of cameras without a hat. 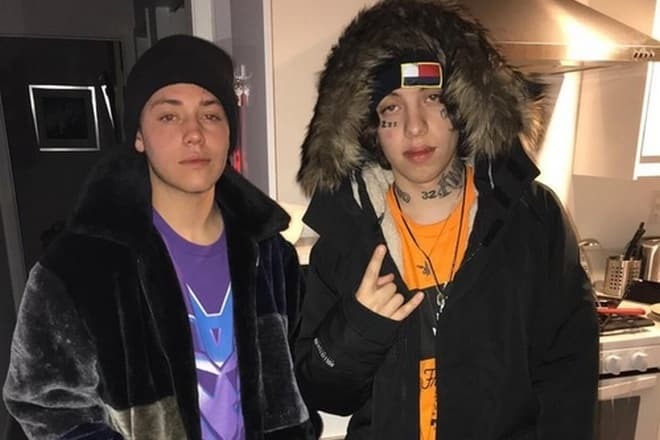 Fans notice that Lil Xan bears some resemblance to the actor Ethan Cutkosky who played in the series Shameless.